Risen Savior's Lutheran Women in Mission usually meet on the third Tuesday of every month at 6:30 p.m. 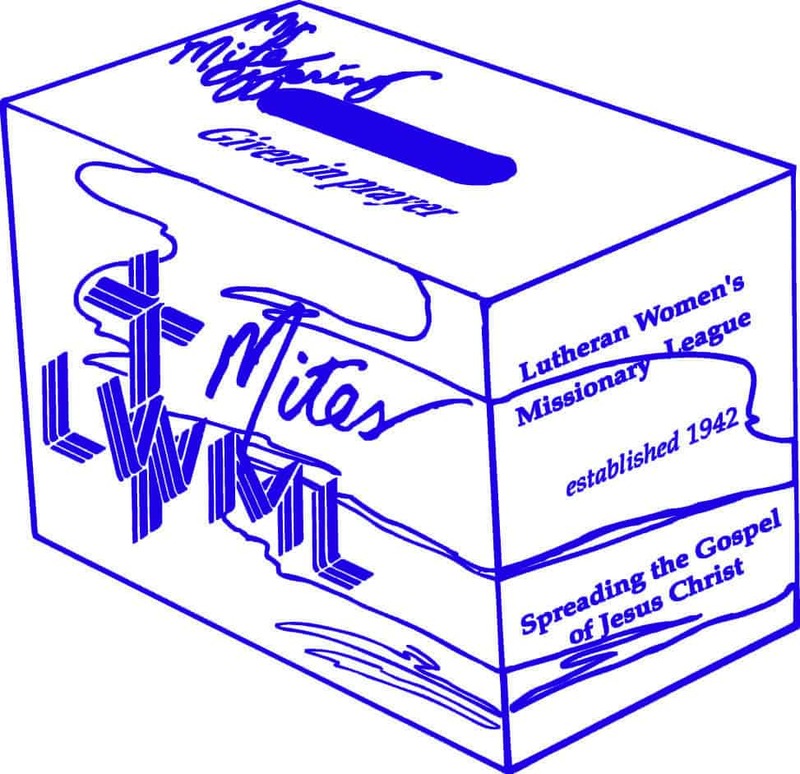 The Lutheran Women’s Missionary League (LWML), is the official women’s organization of The Lutheran Church—Missouri Synod. The LWML focuses on affirming each woman in her relationship with Christ to enable her to be in ministry among the people of the world. For over 60 years the organization has been encouraging and equipping women to live out their Christian lives in active mission ministries and to financially support global missions. Mite money is used to further God's kingdom through the mission grants selected by the LWML District and National Leaders. Throughout the decades, Lutheran women have stepped out in faith, setting goals and trusting God to move the hearts of His people to give generously to LWML to proclaim the Gospel. Mite boxes have changed in color and design over the years, but what has never changed is the dedication of freely given offerings for the purpose of reaching out to others with the Good News of Jesus Christ. Districts still retain 75% of mite offerings for the work of the LWML at that level. National mites fund over $1 million in mission grants.